On June 19 my wife and I were privileged to have front-row seats to hear Cécile McLorin Salvant in concert at the McCarter Theatre Center in Princeton, New Jersey. To my raw and jaded ears, Ms. Salvant is the most astonishingly gifted jazz vocalist of not only her generation but of a few other generations besides. Her command and control of her vocal instrument, her choice and execution of repertoire, her diction and range of expression, and her profound and sly intellect made for an unforgettable concert. Cécile, who is instantly recognizable in her trademark white-framed glasses, knows her way around baroque and classical singing as well as the whole compass of jazz. She countenances even those traditions in twentieth century pop music that make us somewhat uncomfortable in these supposedly enlightened times: she comments on them, plays with them, builds on them, and incorporates them into something new and thrilling. Her accompanists, pianist Aaron Diehl, bassist Paul Sikivie, and percussionist Lawrence Leathers, support her with a corresponding brilliance. Diehl is a perfect musical match for Salvant, and effortlessly shifts into almost any style of playing to suit the variety of selections. June 19 was Father’s Day this year, and we noted a definite subtext almost immediately. The first selection was “Wild Women Never Get the Blues,” with its recommendation of kicking men to the curb if they don’t behave. This was no fluke. As the ninety-minute concert progressed, the audience was treated to the Opposing View: the pain of love, the sorrow of loss, the delight of revenge, the gray tedium of loveless marriage, the crippling restrictions of socially-defined gender roles, and the bitterness of betrayal. Anna Maurrant’s aria “Somehow I Never Could Believe” from Kurt Weill’s opera Street Scene (with lyrics by Langston Hughes), normally delivered with a nod to Puccini, was streamlined and intensified by Salvant. Her version reveals the suffocating despair of a loveless (and interminable) marriage. Likewise, Cécile performs “The Ballad of the Shape of Things” (a mock-madrigal sung originally by the Kingston Trio), and with a precise and witty parlor accompaniment by Diehl, makes it hers. She finished with a “spontaneous” request from the audience (which may have been planned), “Guess Who I Saw Today,” and Nancy Wilson’s “Never Will I Marry.” Oh, boy. As a man I never felt so thoroughly, so relentlessly abused. But I stood on my feet and applauded and hollered with the rest of the packed house. I could not do otherwise. 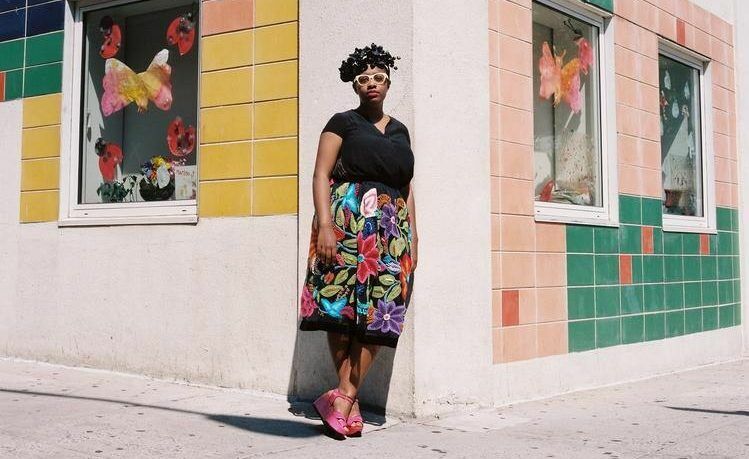 Cécile McLorin Salvant is simply the best ever.